Born June 24, 1942, in Olean, NY, she was a daughter of the late Lawrence G. "Garney" and Marian E. (Tuttle) Campbell. Janet was a 1960 graduate of Bradford High School. She had worked as a secretary in Washington DC for the National Geographic Society. On November 24, 1973 in the Bolivar Drive Baptist Church, she married Ernest James "Jim" Hanson who survives. She had volunteered as poll clerk for Foster Township Voter Registration. She was also a member of the Red Hat Society. Jan spent many years as a caregiver for local families. She had a kind heart, willing to help anyone in time of need, and was a fun baby-sitter, she will be missed. 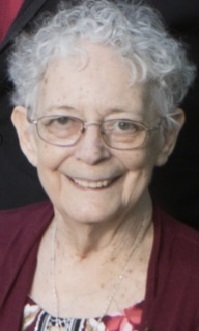 In addition to her husband Jim, of 45 years, she is survived by three sons, Shawn M. (Dawn Prosser) Murphy, Shayn L. (Linda) Murphy, all of Bradford, Kevin J. Hanson of Lexington, SC, one daughter, Kim (Doug) Bunk of Niota, TN, one sister, Diana (Al) VanOrden, of Derrick City, three brothers, Joel (the late Joyce Dion) Campbell, of Derrick City, Bruce (the late Brenda) Campbell, of Carrollton, OH, and Randy R. Campbell, of Derrick City, grandchildren, Chris, Megan, Denise "Dee", Phillip, Todd, Jadyn, Joe, Danielle, Tiffani, Kayleigh, several great grandchildren, nieces and nephews. She was preceded in death by her parents, one son, Mikki Miller, who died September 23, 2012, one great grandson Leroy Brady. Family will be receiving friends on Friday, February 8, 2019, from 3:00pm to 5:00pm in the Hollenbeck-Cahill Funeral Homes, Inc, 372 East Main St., where a memorial service will be held at 5:00pm, with Rev. Mike McAvoy pastor of the Open Arms Community Church officiating. Memorials contributions if desired, may be made to the McKean County SPCA, PO Box 113, Bradford, PA 16701 or Open Arms Community Church 1280 East Main Street, Bradford, PA 16701. To all of Janet -Mom Hanson''s family. We are very sorry for your loss. Janet will be missed by many. I have not seen her in a while, but everytime I did it was with a brite smile and a hug like always. That is what I remember of her growing up in my teen years. Sorry I didn''t make the service, but my mind and thoughts were with all of you. R.I.P. Janet (Mom). With Love. Todd, Your family is in our thoughts and prayers. We are all so sorry for your loss. Jim, So sorry for your loss. You are in my thoughts and prayers. Joel Diana, Randy and Jim, and family, so sorry for your lost. I know there are no words so RIP Aunt Janet love to all?? Shayn, so sorry for your loss. Prayers to you and your family. My sincere condolences go out to your family. I’m grateful for being able to have known Jan, and I’m comforted in the knowledge that there are many other people who felt and remember her amazing influence.